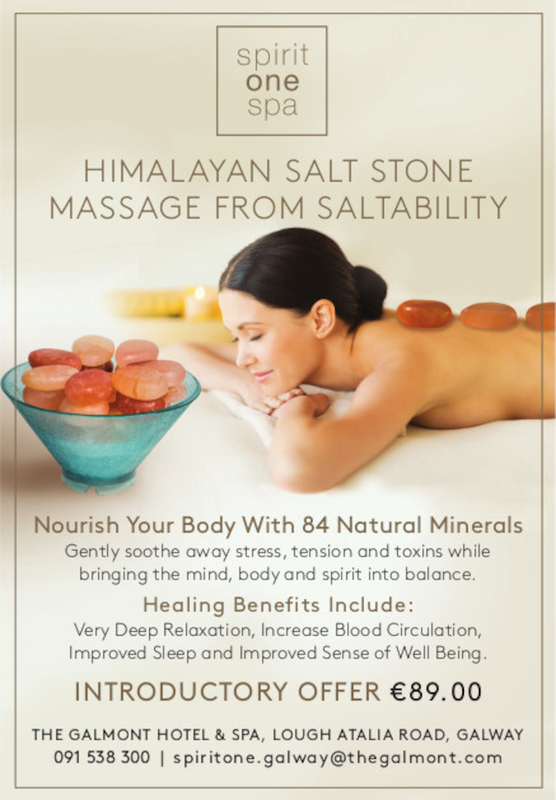 Spirit One Spa are delighted to be the first in Ireland to offer the new Himalayan salt stone massage from saltability. Hand-carved massage stones made from salt crystals from an ancient sea beneath the Himalayan Mountains are infused with 84 natural minerals to help nourish and renew the body. The exclusive Himalayan Salt Stone Massage gently soothes away stress, tension and pollutants, while bringing the mind, body and spirit, into balance. This unique treatment has been designed to incorporate ancient eastern practices of stimulating specific points of the body, helping to unblock areas of congestion and balance the entire system for very deep relaxation, increase blood circulation, improved sleep and an enveloping sense of wellbeing. Page generated in 0.0953 seconds.